Each position has offered up a glimpse of what we can expect moving forward and it's important to take stock of each group as the Jaguars enter the final stages of their evaluation process. The Jaguars' preseason slate has reached its halfway point, as the team prepares for its "dress rehearsal" against the Atlanta Falcons next weekend. Through two preseason games, the Jaguars' roster has shown off its strengths and weaknesses, as the depth chart has displayed it sliding scale of talent. 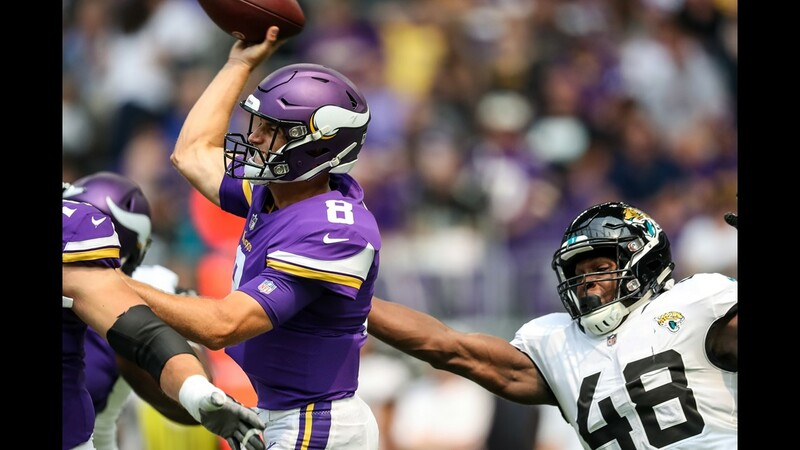 With just two preseason games left in the exhibition gauntlet, there is plenty to think about during the home stretch following battles against the New Orleans Saints and the Minnesota Vikings. Each position has offered up a glimpse of what we can expect moving forward and it's important to take stock of each group as the Jaguars enter the final stages of their evaluation process. Thoughts: Blake Bortles has produced an up-and-down preseason thus far, but his work during training camp left a lot of room for optimism. Bortles has developed chemistry with several weapons during practice but he needs to carry that over to games. 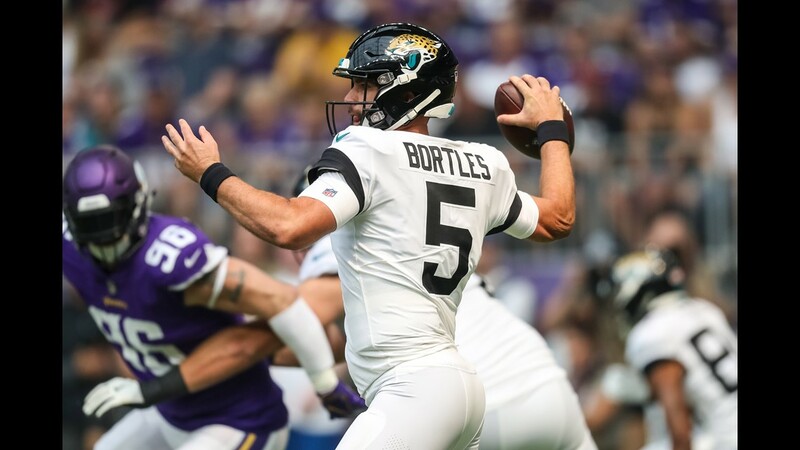 The Jaguars' quarterback has led a trio of impressive drives in the preseason so there is plenty of reason to be excited about his progress moving forward. Third-year quarterback Cody Kessler has all but locked up the backup job. 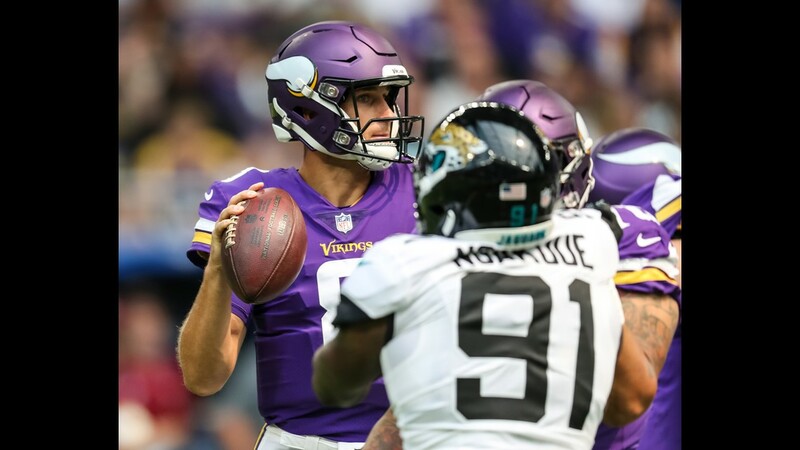 While he finally threw his first two interceptions during joint practices with the Vikings, the young quarterback has displayed consistent accuracy since arriving in Jacksonville in May. Rookie Tanner Lee is likely pegged for the practice squad, as he has shown that he needs time to develop. Thoughts: The game against the Vikings added some intrigue to the running back group. 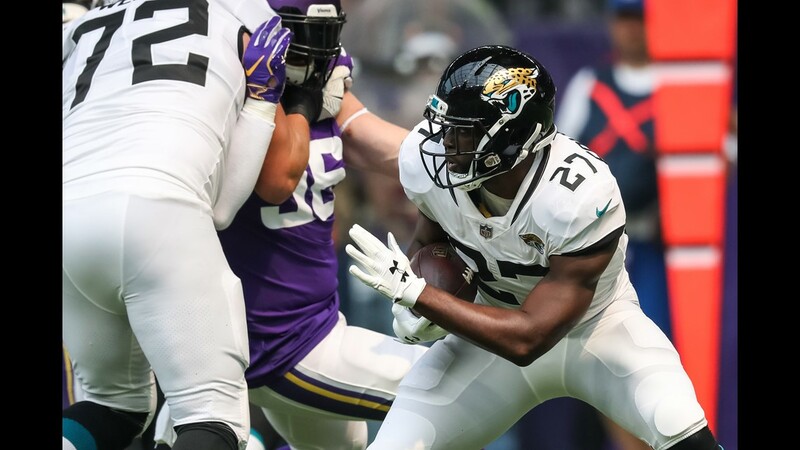 Starter Leonard Fournette is locked in as the bulk weapon while T.J. Yeldon showed off his versatility against Minnesota, providing blocking, receiving and running highlights. Corey Grant was barely used in Minnesota but that may have been due to Yeldon's performance in the first half. The Jaguars' running back trio is set but Brandon Wilds displayed the ability to fit into the rotation against Minnesota. Tim Cook is the other running back but he wasn't used against the Vikings. Wilds may be in line for the 53-man roster. Thoughts: The Jaguars haven't staged a competition for the fullback spot since the conclusion of the offseason program. Tommy Bohanon will return for a second go-round at the position. 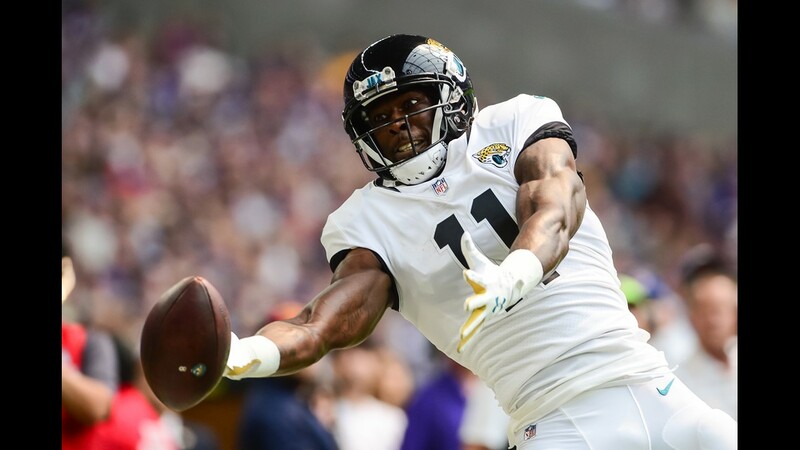 Thoughts: The Jaguars have an unusual wide receiver situation. There isn't an alpha, go-to receiver on the books as of now. The preseason and regular season could lead to someone's emergence but right now it seems that the Jaguars are content with a "catch by committee" group. Dede Westbrook and DJ Chark have been the standouts of training camp, while Keelan Cole and Marqise Lee have received the majority of the starter reps during practice. Donte Moncrief, as expected, is the group's wild card, flashing inconsistent talent throughout the summer. Those five players are locks to make the roster while Rashad Greene, Jaydon Mickens, Allen Lazard and Shane Wynn battle for a potential sixth wide receiver spot. Of the competitors for the final spot, Greene has been the most consistent pass-catcher. While Mickens and Wynn have flashed and Lazard has impressive size, Greene seems to be the front-runner for the last job due to his receiving and return abilities displayed this summer. Thoughts: Despite missing the Jaguars' preseason clash with the Vikings, Austin Seferian-Jenkins is clearly locked in as the starting tight end. Behind the former second-round pick, the group is a tad cloudy. James O'Shaughnessy and Niles Paul are strong special teams players but from an offensive perspective, the jury is still out. Of the two, O'Shaughnessy seems to have the most upside. Ben Koyack has been around for a while and his blocking ability is encouraging. The tight ends have a decent group of four at the position but figuring out their individual roles and importance can be difficult. The team has an interesting battle going on for a practice squad spot. David Grinnage, DeAndre Goolsby and Scott Orndoff all seem to have upside but may need more seasoning on the practice roster. Thoughts: The offensive line has offered a touch of concern during the preseason. Left guard Andrew Norwell (calf), right tackle Jermey Parnell (knee) and fourth-round rookie Will Richardson (shoulder) have yet to play in the preseason due to nagging injuries while starting center Brandon Linder (knee) and backup guard Chris Reed (knee) were banged up during Saturday's game against the Vikings. So far, left tackle Cam Robinson - who had a rough game against Minnesota - and right guard A.J. Cann have been the only starters to make it through training camp and the preseason unscathed. While Cann has been considered a weak link on the line in the past, his work against Minnesota was among the best in the preseason. With Linder, Reed and Norwell banged up, Tyler Shatley has been taking on the brunt of the bench work. Swing tackle Josh Wells has had a rough time in the preseason, allowing regular pressure during the first two exhibition games. If Richardson remains banged up and Wells continues to struggle, the Jaguars may be in trouble at the offensive tackle position. However, the staff is high on journeyman William Poehls who was inactive throughout last season. Backup guard Josh Walker will have two games to prove he belongs on the roster after receiving some offseason program hype. Thoughts: The Jaguars have the deepest defensive line in football and it shows with the first eight names on the depth chart. Calais Campbell, Yannick Ngakoue, Marcell Dareus and Malik Jackson have formed a quartet of Pro Bowl talent on the defensive line. While Dante Fowler is suspended for Week 1, his presence along with the trio of Abry Jones, Taven Bryan and Lerentee McCray gives the Jaguars a talented second platoon. While Fowler, Bryan, Campbell and Dareus have been banged up during training camp and the preseason, McCray, Michael Bennett and Carroll Phillips have taken advantage of their added reps. The next two weeks will be massive for Bennett and Phillips as they look to outwork injured third-round pick Dawuane Smoot (ankle) and veteran Sealver Siliga for roster spots. Thoughts: The Jaguars' starting linebacker group seems etched in stone at this point. Weak-side (WILL) linebacker Telvin Smith and middle (MIKE) linebacker Myles Jack form one of the most athletic nickel backer groups in the league. Seventh-round pick Leon Jacobs has excelled as a blitzer at strong-side (SAM) linebacker during the preseason and the team has been unwavering in its positioning of him since the beginning of training camp. Behind the starting three, the picture is a bit less pretty. Donald Payne has proven to be a very strong special teams player but his work at linebacker has been relatively inconsistent. Still, Payne will most likely backup Jack at middle linebacker this season. 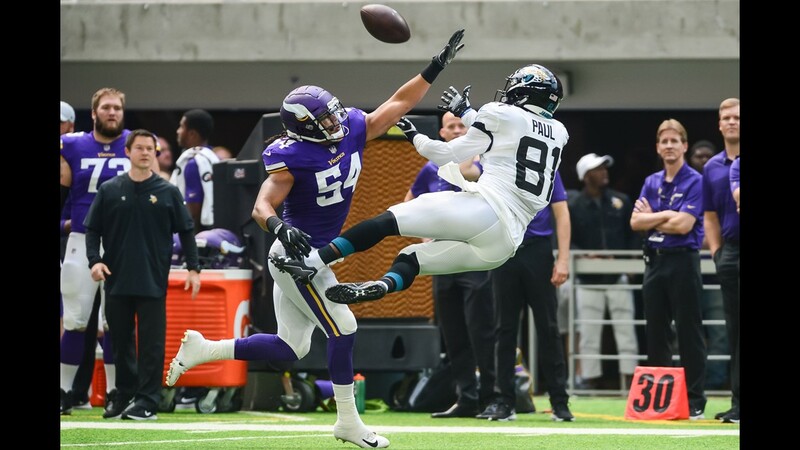 The Jaguars originally wanted to use Blair Brown at SAM linebacker but the offseason program proved he was better off as an off-the-ball player. If the Jaguars decide to keep a sixth linebacker, the team may look elsewhere for support. The group of Andrew Motupuaka, Brooks Ellis, Deon King, Manase Hungalu and Reggie Hunter will get its shot in the team's fourth preseason game. Motupuaka seems to be the best-positioned player of the group. Thoughts: With Jalen Ramsey suspended for the week, the Jaguars were able to take a long look into their cornerback depth. Ramsey and A.J. Bouye are the Pro Bowl pair that makes the Jaguars' secondary one of the best units in the league. Behind them is D.J. Hayden who has started to find a groove at the nickel cornerback position over the last few weeks. Tyler Patmon has been the group's surprise standout for the second straight offseason and - at worst - is the Jaguars' fourth-best cornerback. The fifth cornerback spot has hosted quite the battle over the last few weeks. Rookies Quenton Meeks, Dee Delaney and Tre Herndon have taken their turns as playmakers, while youngsters Sammy Seamster, Bryce Canady and Jalen Myrick have had their moments in practice. Of the bottom six, Meeks, Herndon and Myrick seem to be the trio that leads the group. Herndon has provided solid special teams play and versatility on defense, while Meeks has made consistent plays in the passing game. Myrick has upside as a returner and gunner and could be viewed as the favorite internally. Thoughts: The Jaguars have an under-the-radar goldmine of depth at the safety position compared to last season. Starters Tashaun Gipson and Barry Church are backed up by third-round pick Ronnie Harrison, Don Carey, Cody Davis and Jarrod Wilson. 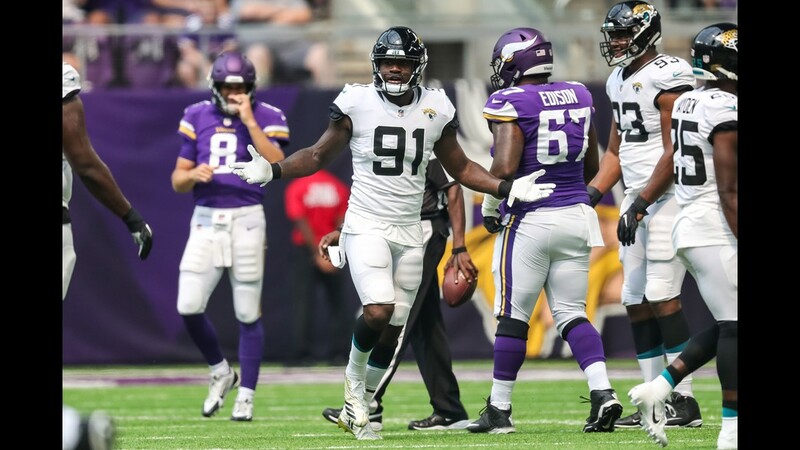 Harrison played extremely well as a replacement for Gipson during the Jaguars' battle against the Vikings, forcing a fumble and making a handful stops against the run. Wilson forced the game-clinching sack-fumble against Minnesota in the fourth quarter. Davis missed the second preseason game while Carey suffered a hamstring injury on special teams. Right now, Gipson, Church, Davis and Harrison are probably locked into roster spots. Carey, Wilson and rookie C.J. Reavis are competing for a fifth safety job. Carey's injury could keep him out of the competition while Reavis is probably a key player for the practice squad. Wilson's role will be worth watching over the next two weeks. Thoughts: While he is coming off his first missed field goal of the preseason, Josh Lambo is still considered a surefire lock to make the squad. The veteran kicker has been relatively consistent throughout training camp and his work from last year should buy him plenty of confidence within the front office. Thoughts: The punter position had an uneasy feeling entering training camp but seventh-round rookie Logan Cooke has done everything possible to curb concerns. Through two preseason games, he has punted nine times with five being downed within the 20-yard line. He is averaging a solid 39.6 net yards per punt and booting the ball 43 yards per attempt. He is a safe bet to be the punter this year. Thoughts: Carson Tinker seems completely recovered from last year's ACL surgery. The sixth-year specialist hasn't produced a bad snap all offseason, so he should have the job locked up. 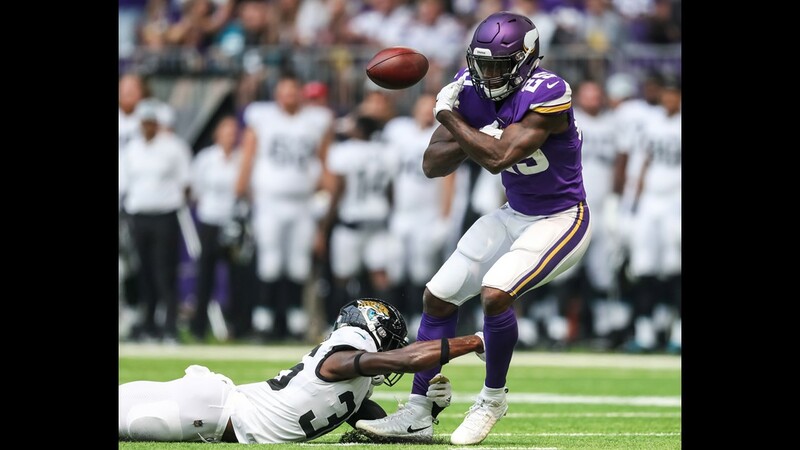 Thoughts: The punt returner battle took an exciting turn against the Vikings, as Greene's 56-yard return essentially won the exhibition matchup for the Jaguars. While Westbrook had a solid return wiped out by a penalty, Greene really made the most of his opportunity in the fourth quarter and that is the play most of us will come away with. Greene has been competing with Mickens and Wynn for the sixth wide receiver spot and he seems to be ahead of both as an offensive player. With his return against Minnesota, he may be pegged as a superior returner as well. At kick returner, the Jaguars have plenty of options. Despite his kickoff return mishap against Minnesota, Chark seems like an ideal option for a two-man returner rotation with either Grant or Lee. Westbrook still could be considered in that role as well. Regardless of which guy gets the call, it seems like a player considered a "lock" to make the roster will man the kick return spot.